Slice through oceans, lakes and rivers with the Malibu touring board. The Malibu SUP takes some of the characteristics of a planing/surf style board making it a great board for beginners. The designers added a displacement hull so it easily cuts through the water offering less resistance when paddling. 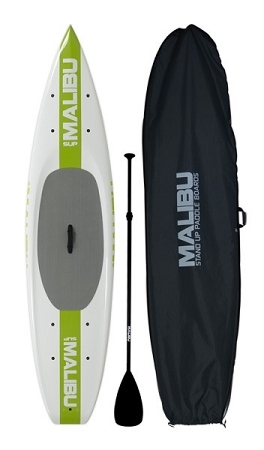 Designed to handle flat water and chop, the Malibu Tour is the perfect board for paddlers of all ages and skill levels to experience the thrill of stand up paddle boarding. The Malibu and the Pau Hanna board lines also features the new SeaMount attachment system. Secured into the core of the board, the versatile SeaMount system gives you a 5/16 screw base to attached a wide array of accessories. Everything from tie down loops to Cell phone mounts! You can customize your board to give you exactly what you need when you’re out enjoying the water. The Malibu has 4 SeaMounts in the front of the board and another 4 just behind the standing area. 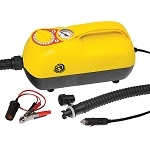 To make this model even better it comes as a package with a board cover and an adjustable aluminum paddle! Everything you need at an amazing price! The only other things we would recommend getting would be a SUP Leash, USCG Approved PFD and a Whistle.